If pie is at the top of your family's list of <a href="http://www.inhabitots.com/no-turkey-no-problem-a-vegan-veggie-filled-cassoulet-will-please-any-thanksgiving-guest/">Thanksgiving dinner</a> favorites, you might also have trouble getting everyone to agree on one type of pie. Our suggestion: make several miniature pies, that way everyone can enjoy the flavor they crave without ending up with way more dessert than you can eat. Plus these little treats are fun to make with children and they're cute, too. 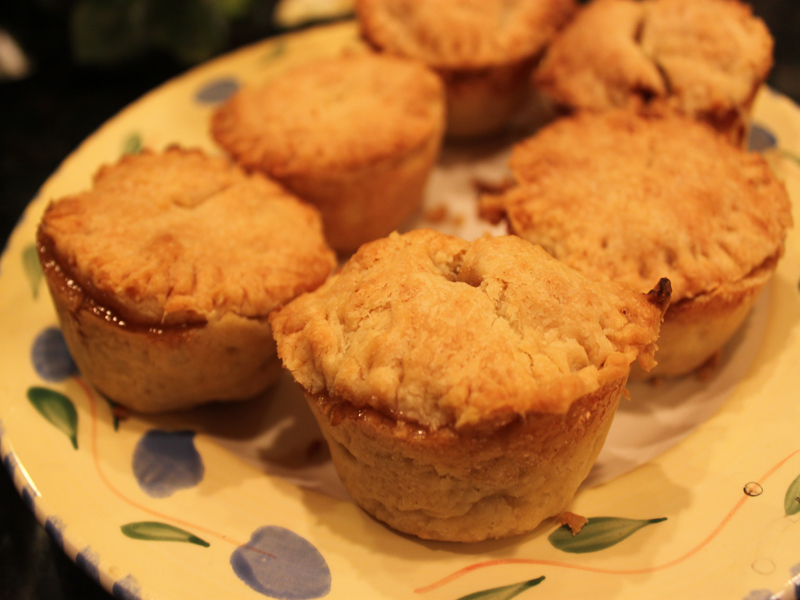 Read on to learn how to bake miniature apple pies for Thanksgiving. If it's <a href="http://www.inhabitots.com/how-to-bake-vegan-pumpkin-pie-bars-with-cinnamon-and-maple-frosting/">pumpkin</a>, pecan, or cherry you desire, you can adapt this recipe by making a different filling to create any variety you like. 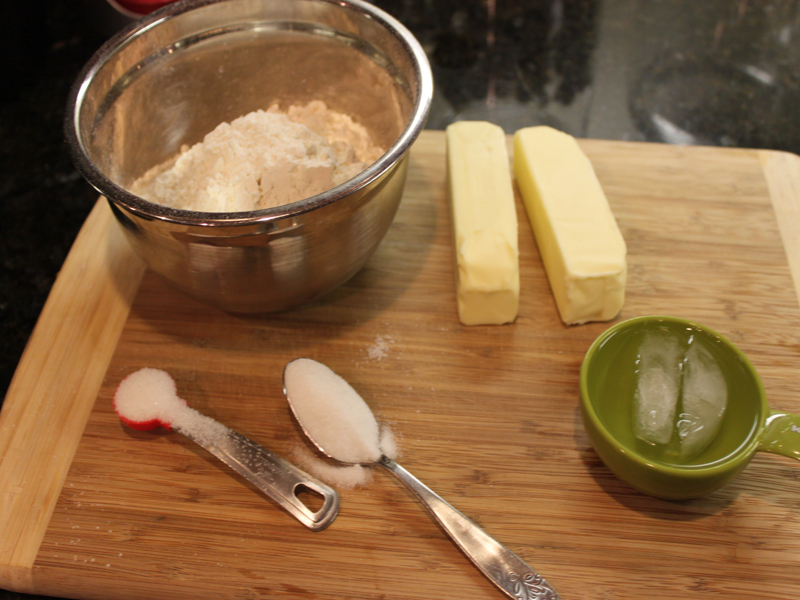 <h2>Step 1:Make the Pie Crust</h2> Combine half the butter with the flour and salt, mix well. Sprinkle the dough with the ice water and blend until the ingredients are mixed well. 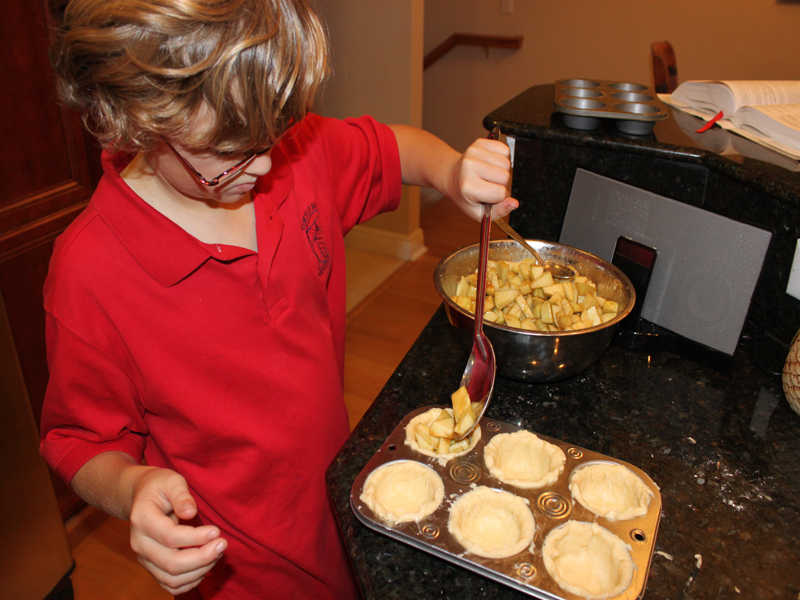 <h2>Step 2: Make the Apple Filling</h2> Preheat the oven to 425 degrees. 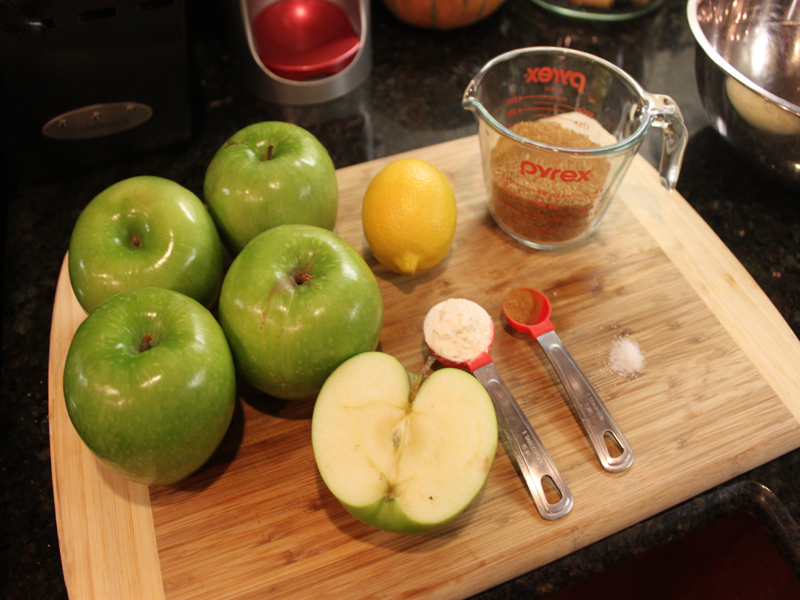 Peel, core and slice apples into 1/4 inch thick pieces. 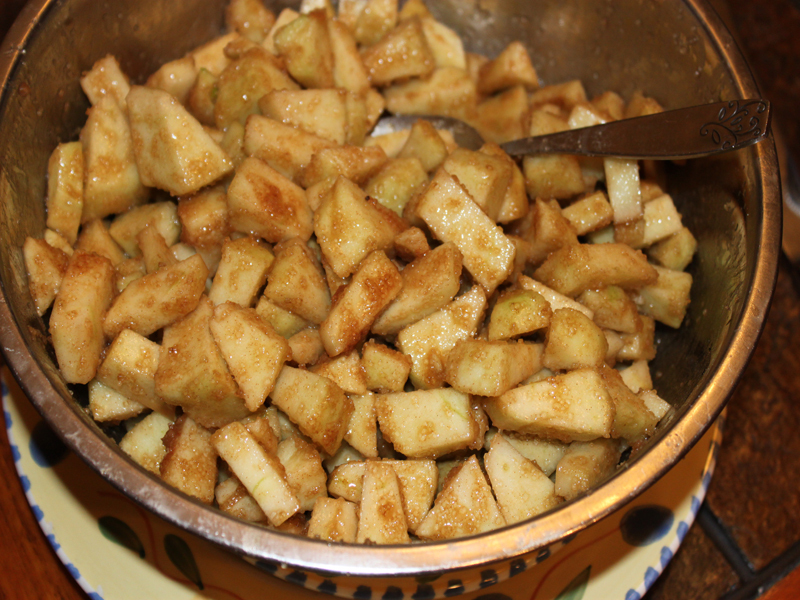 Add all of the apple filling ingredients into a large bowl, stir several times and let sit for 20 minutes, then stir again. 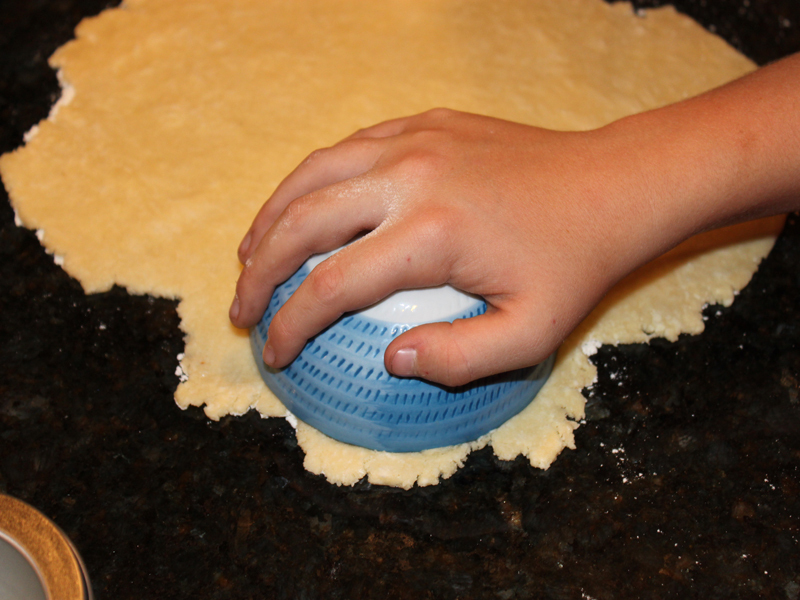 <h2>Step 3: Cut the Dough into Circles</h2> Use a round object slightly larger than your muffin tin to measure and cut the pie dough. 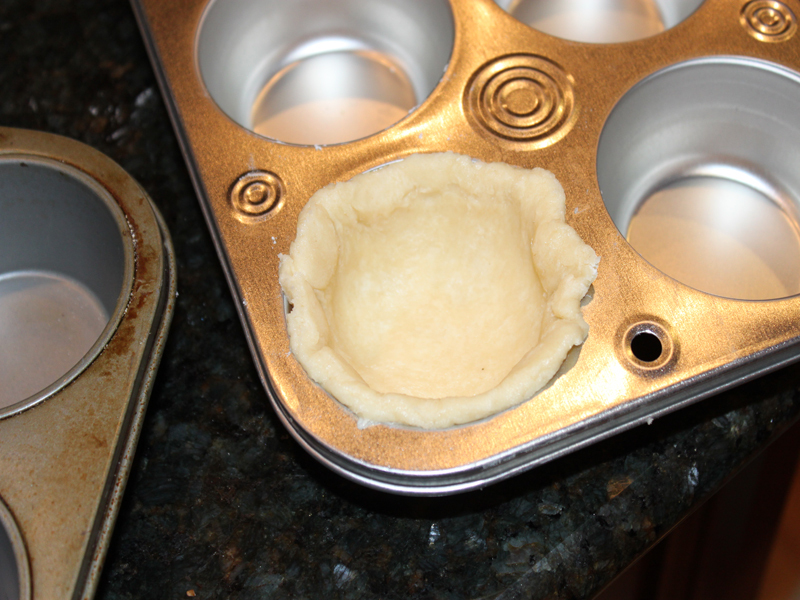 <h2>Step 4: Shape and Trim the Dough</h2> Carefully place the pie dough in the bottom of each muffin tin. 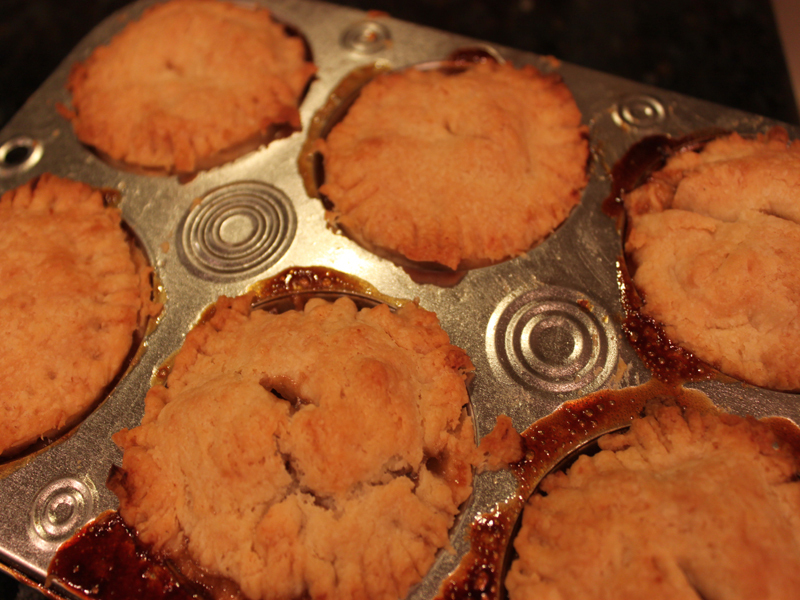 <h2>Step 5: Fill the Crust</h2> Spoon the apple filling into each crust cup, add a small dollop of organic butter on top. 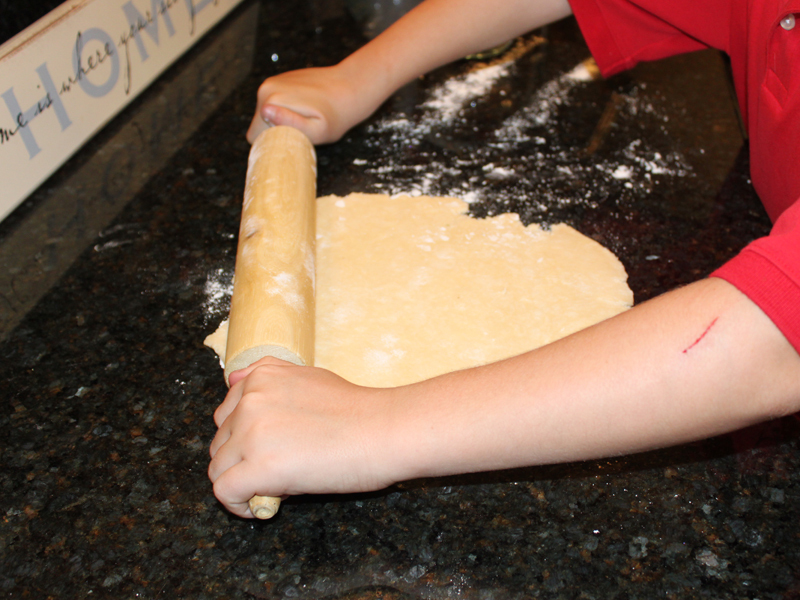 <h2>Step 6: Add the Upper Pie Crust</h2> Cover the pie with the upper crust piece, use your fingers to crimp it closed. Make a couple of slits in the top of the crust for venting. <h2>Step 7: Bake the Pies</h2> Bake for 30 minutes, then reduce the oven temperature to 350 degrees and until until fruit is tender and juice begins to bubble out of the vent - about 30-45 minutes. 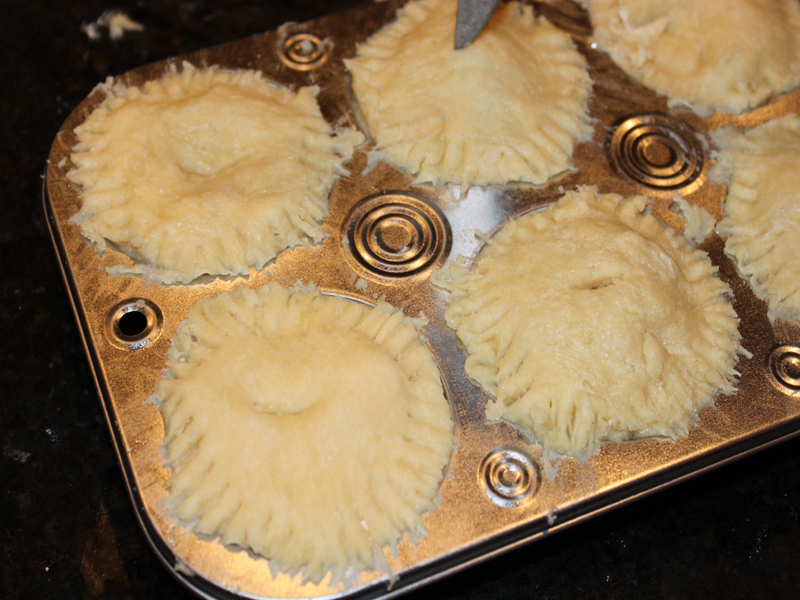 Remove from heat, cool completely, then remove from muffin tin. 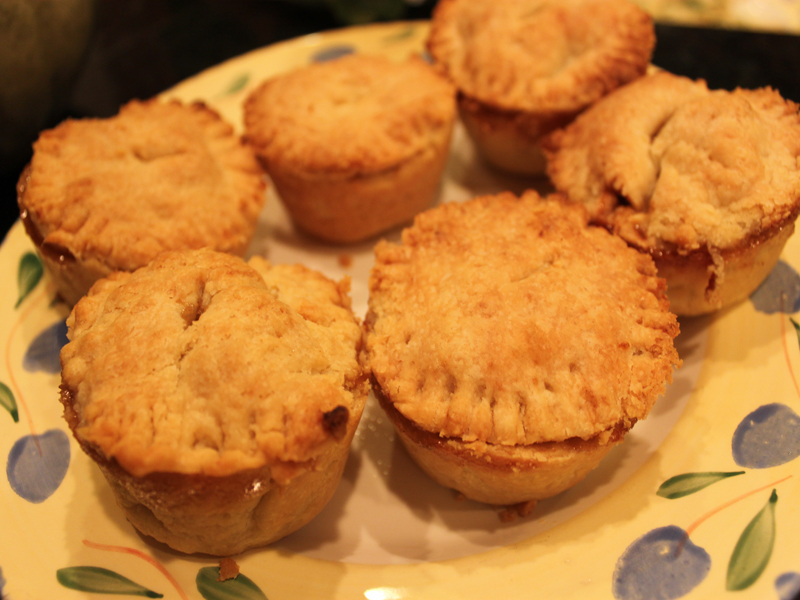 <h2>Step 8: Enjoy Miniature Organic Pies on Thanksgiving</h2> These miniature pies will keep 2-3 days at room temperature, just serve with homemade vanilla ice cream and everyone will be happy.